You probably think you already know all the benefits of cotton clothing; it breathes, it’s easy to clean and take care of, and is a natural fiber. But did you also know that you can find cotton in products beyond clothing? From skincare to feminine hygiene to baby products like diapers and wipes, cotton can improve more than just what you wear but also how you feel. Keep reading to find out how this little ball of fluff can improve your life from skincare to baby and beyond. Cotton has found its way into popular skincare brands, and with good reason. Cotton extract and cottonseed oil carry many skincare benefits. These ingredients contain vitamin E, antioxidants, and omega-3 fatty acids, all of which reduce inflammation, soothe skin, moisturize, and fight free radicals. No wonder it’s become so popular! Shop these picks to try cotton skincare for yourself. As an added bonus, most of these products are formulated without parabens or phthalates, endocrine-disrupting chemicals that may have adverse effects. Win! If you’re a mother, chances are you check the label for cotton on most of your child’s clothing, blankets, and burp cloths. Parents always want the best for their children, and since cotton is natural, soft, and hypoallergenic, it’s the right choice for a lot of mothers. Companies like Nu Angel know the benefits of cotton and have developed a range of products from cotton nursing pads, pillows, burp cloths, reusable diapers and reusable wipes, all of which are gentle on your baby’s skin. They make it easy to make a natural choice for your growing family. If you’re not into using reusable diapers, check out a brand like the Seventh Generation Free & Clear disposable diapers with a soft, quilted liner made with unbleached cotton. When it comes to babies, choosing cotton should be easy. When was the last time you checked the ingredients on your feminine hygiene products like sanitary pads and tampons? Chances are the answer is never, and that’s because most companies aren’t required by law to list them. If you could read the ingredients, you’d find things like synthetic fibers of unknown origin, often treated with bleach, dyes, or chemicals, along with only a small amount of cotton. If you care about what you put on your body, shouldn’t you also care what goes in it? 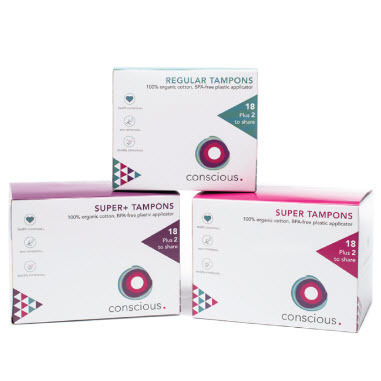 Instead, try a 100% cotton tampon, like the ones by Conscious Period, a company that is committed to female health and philanthropic works. 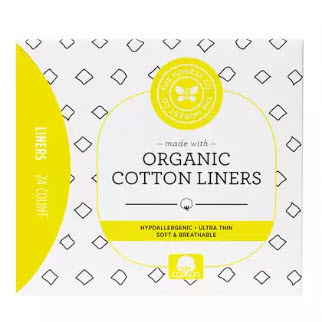 They sell 100% organic cotton tampons with BPA-free plastic applicators. 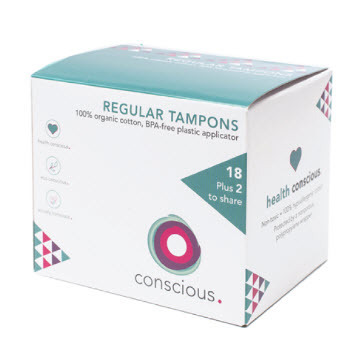 For every box of tampons sold, Conscious Periods donates pads to homeless women. 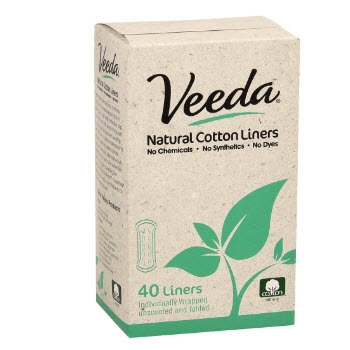 If you’re partial to pads, brands like Veeda and The Honest Company make natural cotton pads and liners and list their ingredients, taking the guesswork out of looking for a natural alternative to conventional drugstore brands! Cotton is a choice you can always feel good about. And of course, cotton intimates are still the best choice to keep you comfortable and lower your risk of infection. Truly, The Fabric of Our Lives® has benefits that extend far beyond just fabric!